There have been many reports regarding Madonna's recent visit to Malawi. Some of these reports include inaccurate information and accusations by the Malawian Government on Madonna's character and the work of her foundation Raising Malawi. Despite the accusations, Madonna and her organization Raising Malawi remains committed to the health and education of the children of Malawi. "I was very happy to visit with the children of Malawi earlier this month and to see with my own eyes the ten new primary schools in Kasungu province that Raising Malawi and buildOn completed this past year. These schools are now educating more than 4,800 children with girls attending in equal numbers. These children who were formerly learning outside on the ground, in unsafe buildings or not at all, now get to attend classes on a daily basis. My children and I were overjoyed to visit these schools and see what amazing progress has been made. I will continue to follow through on my commitment to help educate the children of Malawi. I'm saddened that Malawi's President Joyce Banda has chosen to release lies about what we've accomplished, my intentions, how I personally conducted myself while visiting Malawi and other untruths. I have no intentions of being distracted by these ridiculous allegations. I came to Malawi seven years ago with honorable intentions. I returned earlier this month to view the new schools we built. I did not ever ask or demand speial treatment at the airport or elsewhere during my visit. I will not be distracted or discouraged by other people's political agendas. I made a promise to the children of Malawi and I am keeping that promise" commented Madonna. Madonna originally planned on building a Girls Academy in the impoverished country but realized that a more sustainable model would be to build smaller schools in villages around the country with buildOn who have had 20 years of success building schools in Africa. 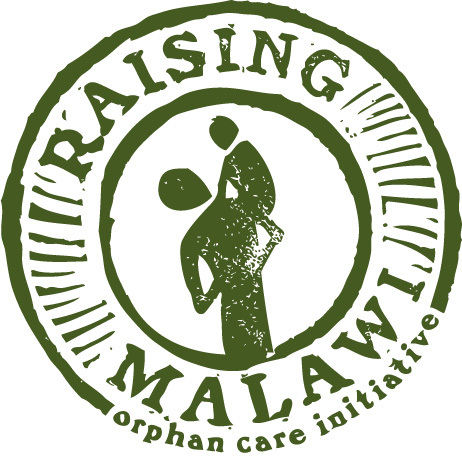 The original team that Raising Malawi first put in place included Anjimile Oponyo, the sister of Malawi's current President Joyce Banda. Due to major organizational problems that occurred during that time, the original team was disbanded. President Banda has since appointed her sister to a senior post within the Ministry of Education. Madonna's decision to change course on her education projects has subsequently been met by deep resistance from Oponyo, the President, and the Ministry of Education. But Madonna is not letting politics stand in the way of her deep commitment to help build schools there and educate as many children as possible. good morning Madonna, another day that you'll get things done while others just talk. I'm for Madonna to continue with her â€‹â€‹good work there in Malawi Don't listen nobody and keep on. We love you! Madonna, The bible says " every good and perfect gift is from above". I believe that your goodness, and kindness is from the God that dwells inside your heart. God Bless you for being an example of goodness to the world. Always saw the light inside of you. May it continue to grow brighter and brighter like the Sun. We your adoring fans love and admire you for life! Madonna, I am an older American woman, who lived in West Africa for 3 years back in the 80's, I missed out on alot of your music, but have learned to respect the "simple life" and when someone asks me "do you remember this song?" I say "yes, but it was after I came back", you are a great artist and a good person for caring for "the simple life". Thank you from someone who enjoys listening to your voice. Be Brave, Lucky Star Madge! Hey Madge! I Truly Understand the Sadness and Heartbreak you're going through-My advice to you-Always Live to Tell, Take a Bow and Promise to Try, my Ray of Light! Hang in there, Lady Madonna with the Audience at your feet! I LOVE YOU-Rabbitbunny, outside of Baltimore! Peace and Love-Shanti! I am really moved from what I read. Don't listen nobody and keep on. We love you! Esta ayuda a la gente d Malawi debe de ser un ejemplo para toda la comunidad artistica, lo cual hace de Madonna, una persona de un gran corazÃ³n, una persona muy humana con ggrandes sentimientos y que eso hace que yo la admire cada dia mas y diga que MADONNA ES LA MEJOR CANTANTE DE TODOS LOS TIEMPOS Â¡Â¡Â¡. ms banda and co's attempt to teach self-righteousness and humility smacks of hypocrisy. I congratulate Madonna for her humanitarian efforts in Malawi. She has a big heart. GO MADONNA!! I saw a lot of pictures on the internet of your stay in Malawi Madonna, you want to do a lot of good but I'm sorry that so little is said in the media in the world that you have a big heart! I have read with much dismay and sadness the horrendous personal attack and insults from President Joyce Banda of Malawi.I feel like apologising on behalf of Southern African people. 1. How does a President, who is not Minister of Edcation,Culture, Entertainment or Airports etc get to release a Presidential statement on a matter like this? To me this is abuse of Presidential powers. 2. If Madonna is not a VIP then who is? Politicians only? Business men? Crooks, tircksters, gun-runners and others? 3. How much of her OWN money has the President of Malawi ever given to alleviate poverty, before and after she became President? 4. Can Malawi afford the bad image of being against people who, out of the kindness of their hearts and at their own cost, come to offer HELP, no matter how little that help may be? 5. How does President Banda differ from other despots and abusers of power who chase away and harass donors and NGOs? 6. How does President Joyce Banda differ from the late President Bingu Wa Mutarika, who, through his reckless mouth and huge ego, had aid from the West cut. And what was the cost of his misguidedly "principled stand" These are my worries about my fellow African people. But to Madonna I say; "Please do not let this obscene travesty dissuade you from doing your noble deeds. You must expect more of this balderdash, unfortunately...it comes with the territory. Don't lose heart" All the best GrovyDrZi. Madonna is a great and humane person as no other one I know.....She really is understanding and has a warm heart.....As seen in her charity in Malawai.. When the photos of Madonna and her family were released while visiting Malawi the one thing I noticed was Madonna at ease in a place where celebrity was not even in question. She seemed joyous and happy to be able to help those in need of help. It is sad when redtape and politics block those who are able to do good for the less fortunate. It seems like such hard but rewarding work, yet it becomes disheartening when others would rather let those in need suffer than recieve help from many who were blessed enough to give it.